As I was reading my Pharmacy Today from American Pharmacists Association this morning, the headlines of “CDC: influenza activity has highest level this season,” and “In measles outbreak, demand for vaccine spikes” caught my attention. Later in day, a question arose about catch up immunization schedule for polio vaccine in a young adult. 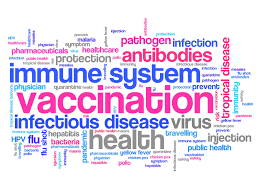 To have creditability, I can confidently say that I am up to date with all of my vaccines. Vaccines truly matter as evidenced by the recent measles outbreak. Are you uncertain as to whether you or kids are up to date on your immunizations? If not, click below on link to CDC for vaccination details. Next PostNext Daily Piece: Low Diabetes Exam Frequency in U.S.